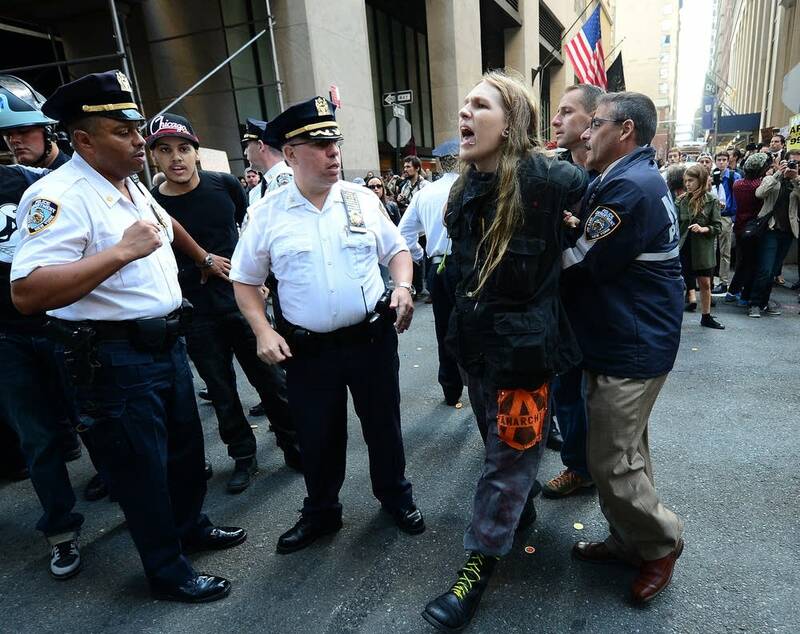 NEW YORK (AP) - Occupy Wall Street began to disintegrate in rapid fashion last winter, when the weekly meetings in New York City devolved into a spectacle of fistfights and vicious arguments. Punches were thrown and objects were hurled at moderators' heads. Protesters accused each other of being patriarchal and racist and domineering. Nobody could agree on anything and nobody was in charge. The moderators went on strike and refused to show up, followed in quick succession by the people who kept meeting minutes. And then the meetings stopped altogether. The trouble with Occupy Wall Street, a year after it bloomed in a granite park in lower Manhattan and spread across the globe, is that nobody really knows what it is anymore. To say whether Occupy was a success or a failure depends on how you define it. 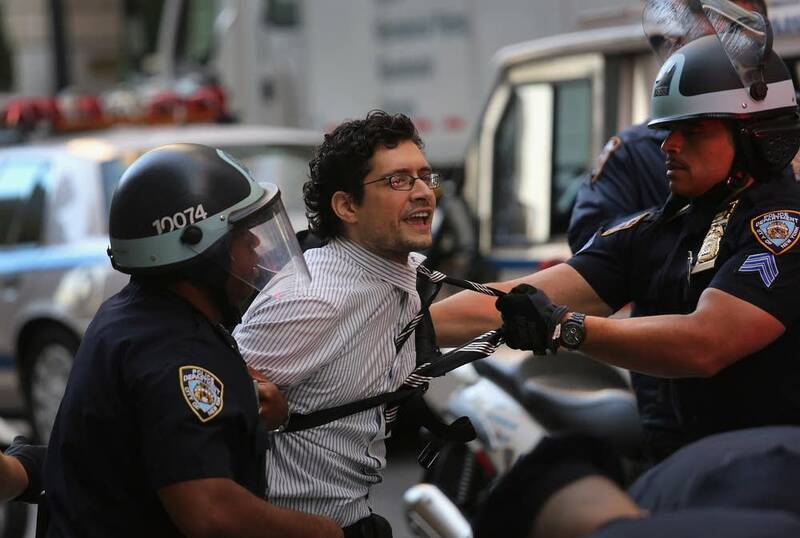 About a dozen were arrested after sitting on the sidewalk, but there was no sign of a planned "people's wall" on the streets surrounding the stock exchange. Instead, protesters held a small meeting where they talked about the ills of Wall Street and corporate greed. Marches and rallies in more than 30 cities around the world will commemorate the day. About 300 people observing the anniversary marched Saturday. At least a dozen were arrested, mostly on charges of disorderly conduct, police said. Across the nation, there have been protests organized in the name of ending foreclosure, racial inequality, stop and frisk, debt: You name it, Occupy has claimed it. Occupy the Bronx. Occupy the Department of Education. Occupy the Hood. Occupy the Hamptons. Protesters opposing everything from liquor sales in Whiteclay, Neb., to illegal immigration in Birmingham, Ala., have used Occupy as a weapon to fight for their own causes. In Russia, opposition activists protesting President Vladimir Putin's re-election to a third term have held a series of Occupy-style protests. Young "indignados" in Spain are joining unions and public servants to rally against higher taxes and cuts to public education and health care. "All around the world, that youthful spirit of revolt is alive and well," says Kalle Lasn, co-founder of Adbusters, the Canadian magazine that helped ignite the movement. There were the usual flare-ups, with people speaking out of order and heckling the moderators. The group could not agree on whether to allow a journalist to take photographs. An older man hijacked the meeting for nearly 15 minutes with a long-winded rant about the NYPD's stop-and-frisk tactics.